Hi, in this post I will show how to add Google maps to your Angular application. At the end of this post, we will be able to see the map of the United States and we will be able to pan and zoom. 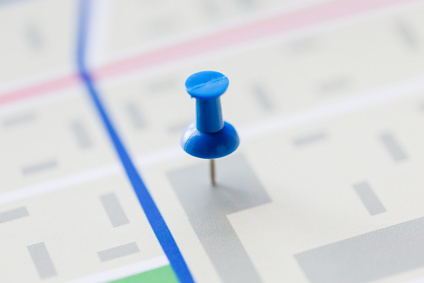 As a consumer, we often use Google Maps when searching for a particular place. But as developers, we may want to integrate maps inside our own web application. Examples of web applications where maps are useful are real estate listing applications and fleet management applications. Go to https://developers.google.com/maps/ and sign in using your Google account. On the platform choices, choose "Web" (the other choices are Android, iOS, and Web Services). Click "Get a Key". You will be redirected to the Google API Console site. Google provides a lot of APIs, and the Google API Console site lets you choose which APIs you want to have enabled for your account. You will be given a key. Save this key for later. Get the script through bower (ngmap), npm (also ngmap), or via direct download from the project page. Reference the Google Maps script file https://maps.googleapis.com/maps/api/js?key=YOUR_API_KEY&callback=initMap. Reference angular.js and the script file ng-map.min.js. Add ngMap as a dependency var myApp = angular.module('myApp', ['ngMap']);. Now we have everything we need, it's time to see some maps! And that's it! The ng-map directive will take care of the rest. The center attribute represents the latitude and longitude coordinates (the center of the United States is at latitude 41 and longitude -87, approximately), and the zoom attribute represents the zoom (a higher number means a closer zoom). Panning and zooming the map are enabled by default. You can also switch to satellite view and street view. Try it out! In this post we learned how to put Google Maps into an angular application. What we needed are a Google Maps API key, the Google Maps script, and the AngularJS Google Maps script. Showing a map on the page was as simple as putting an ng-map directive.